Every Canadian history teacher should share a copy of Matt James’ Northwest Passage with their class. An interpretation of the Canadian ballad of the same name, Northwest Passage is a history picture book, written for kids, but meant for everyone. A polyphonic scrapbook, James combines Stan Rogers’ exceptional lyrics with a myriad of visuals to accentuate the ferocity of Canada’s northern landscape, and to juxtapose the profound knowledge of the Inuit with the eager and underprepared ideals of the European settlers who would seek to conquer it. From the first splash page, a swirling vortex of history behind James, the author and interpretive protagonist of the tale, the reader is submitting to a voyage back in time where they can bare witness to the beauty and horrors of the Canadian North. Most striking is James’ perception of the power of nature. Each time the chorus of the song is repeated, a painting of the barren landscape captivates the reader, whose eye is drawn to the single animal in the frame, larger than any human or human technology sharing the page. This is a testament to the power of nature, but it is also a critique of the overzealous and egoist nature of man who were subdued by the very land they sought to conquer. Another point of profound artistry is the present day paintings where James is the central figure. Each is presented from an almost childlike point of view, eager and blossoming, yet underdeveloped. However, closer inspection reminds the reader that everyone, in their search for meaning, has a land to cross and adventure to endure. As Stan Rogers contemplated the voyage of past explorers, James contemplates the passage we all cross. 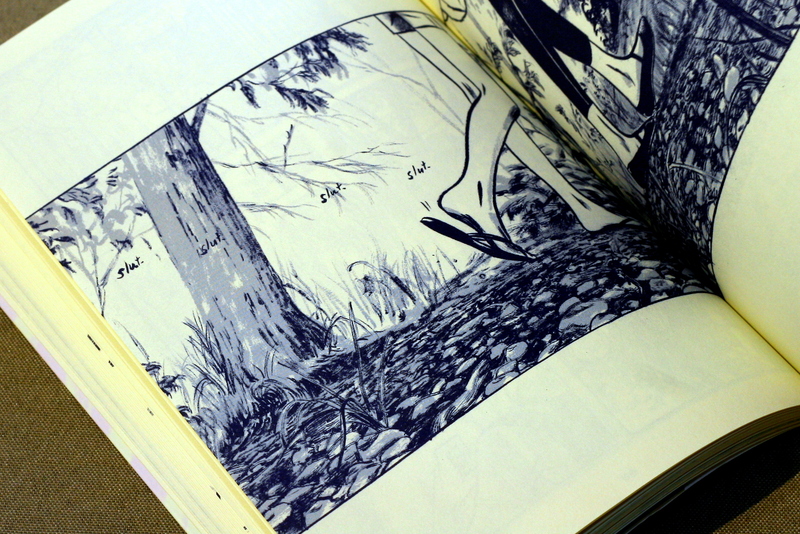 The constant presence of mirrors on these pages remind us, also, that the past is never far behind. 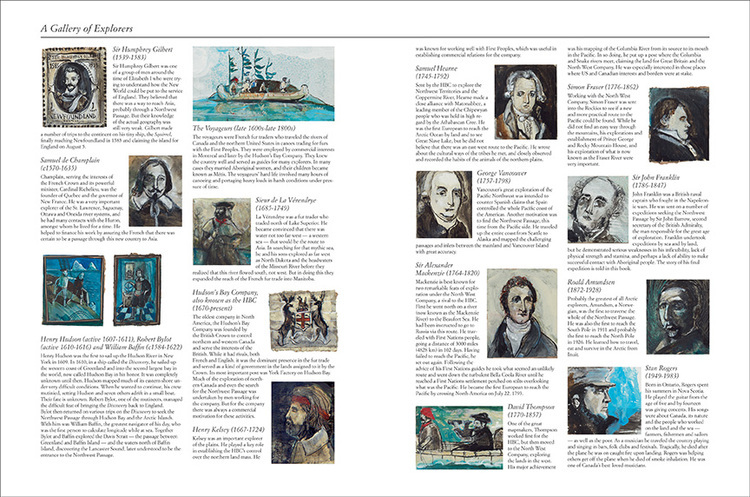 The inclusion of song lyrics, historical timelines, explorer biographies, scientific achievements, maps, and photographs, which counter the more artistic representations, are what make this book so engaging. Northwest Passage is less of a song book and more of an anthology of Canada’s North set to Stan Rogers’ rhythm and meter. Every Canadian history teacher should include this book in their lesson plans, but every teacher in Canada should have this book on their shelves. When I was twelve I happened upon a dusty novel that had been sitting un-read for months on my best friend’s book shelf. On the cover was a girl, about my age, holding a timepiece. (She looked so much like my best friend that I half wondered if that was the reason she was given the book in the first place.) So I asked my dear friend if I could borrow the book, and she gladly gave it to me. I took it home, devoured it, and (twenty years later) I have still not given it back. Today it sits on my own bookshelf, a little warn from many re-readings, but placed as canon on my shelves along with other personal favourites (I have since apologized for my thievery). 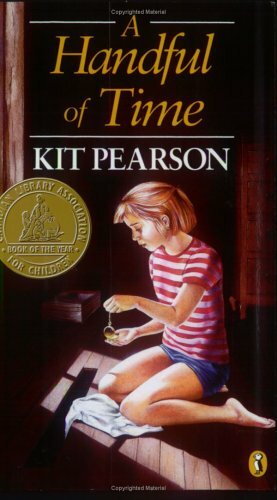 The novel, A Handful of Time, was written by Kit Pearson. 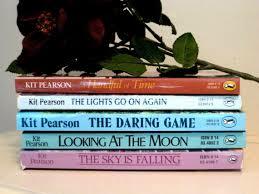 Kit Pearson quickly became a national favourite for me, and over the years I bought and read many of her other books such as, Awake and Dreaming, The Guests of War Trilogy, and The Daring Game. So when a novel of hers appeared on a course syllabus as a required reading I was elated. Finally, I could catch up and read the book I had not yet read! But was this book fulfilling to me as a reader? The jury, on that, is still out. Before we begin I should qualify that children’s literature is my favourite genre. Even in my thirties I am moved by the stories and trials of the genre’s protagonists. I think there is, inherently, a part of me that identifies with characters on a journey of self-discovery who are in the midst of their own coming of age. As an adult I am not sure when that moment comes, the one that tells us we are grown! we are mature! we have made it through!. Perhaps this is why I am drawn to youth fiction. The Whole Truth is children’s literature. 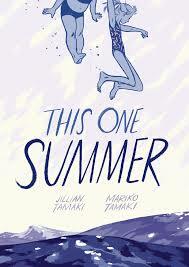 It is a coming of age story: a bildungsroman. The setting is Canada in the 1930’s amidst the Great Depression.The story follows the life of Polly, a young girl who has, in her short ten years, lost her mother, her dear grandmother, and recently her father (or so we are led to believe). She, along with her older sister, Maud, are sent from their familiar life in Manitoba to live with a grandmother they have never met on the small Kingfisher Island in British Columbia. Maud is also about to leave Polly so that she can attend a prestigious boarding school on the mainland. Polly is forced to lead a new life among strangers. She does not want to talk to anyone, finds solace only in painting, and longs to talk with her father. Change abounds, and change is terrifying for the young Polly. Polly’s transition from timid newcomer to islander is almost seamless, thanks to the well developed secondary characters Pearson has created. She is liked by everyone, excels at school, makes a pair of best friends in the quiet Biddy and antagonistic Vivian. She confronts Alice, a bully who is only cruel to deflect the pain and suffering she endures at the abusive hands of her mother at home. She connects with Uncle Rand, who shares wisdom from both the pulpit and the dinner table. And she bonds with cousin Gregor, who always looks out for the young “Pollywog”. 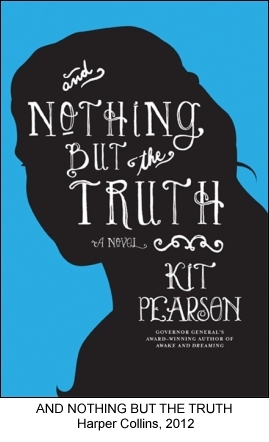 I believe that Kit Pearson writes lovely secondary characters, and I have always surmised that she seems to favour strong, independent, aged women best. In The Whole Truth, Noni is the matriarch of the family who is riddled with secrets. She bears a grudge against Polly and Maud’s father, she quarrelled with her daughter before her death, and though she is a pillar of the community, she is “quietly” racist. Noni is an interesting character, but somewhat underdeveloped. Her positive traits (that she is giving, patient, wise) are clear on every page, but it is the secrets that she harbours that intrigue me, and these secrets are, unfortunately, not addressed in this novel. When I realized that I would not get the “Noni” closure I needed by the end of the book I was deeply disappointed and felt that the “whole truth” of the story had not been properly addressed. I learned, soon after finishing the novel, that it is the first of two. The second, And Nothing But the Truth, no doubt sews up the loose ends of the first, but I was not prepared for a series at the onset and I am wondering if I relate enough to either the story or its characters to read a second instalment. There was another nagging feeling as I read the novel, that I had heard this story before. Not this one, exactly, but one just like it. 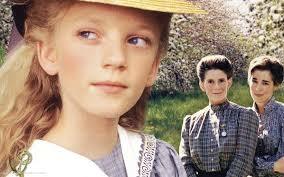 Another Canadian classic, actually: Kevin Sullivan’s television series, Road to Avonlea. Road to Avonlea was a series based on Lucy Maud Montgomery’s short story, The Story Girl, and follows the life of Sarah, who goes to live with her Aunt Hetty in the small town of Avonlea. Supported by a colourful cast of secondary characters, the show follows Sarah’s coming of age as the newcomer in a small community. 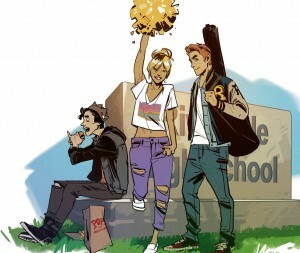 As in The Whole Truth, there is a wise uncle (Jasper), a best friend and bully (Felicity), and a protective cousin (Felix). The two stories reminded me so much of one another that I was almost picturing Avonlea instead of Kingfisher Island as I read. Pearson drew inspiration for her novel by the true accounts of a friend who was sent (with her sister) to live with her grandmother when she was very young; however, those who are familiar with Avonlea will find a kindred tale in The Whole Truth. Perhaps one of the most intriguing plot points of the novel is the uncertainty of Polly and Maud’s father’s whereabouts. 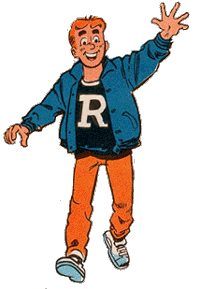 From the beginning, the reader suspects he is not dead as the girls, and their grandmother, say. There is a mystery that needs solving, and bit by bit it is revealed, particularly through the letters Polly writes to him. Pearson’s dynamic shift from third person point of view writing to epistolary chapters shakes up the reading experience, briefly, but becomes a welcoming change of pace for the story. The letters are representative of Polly’s maturing voice, at first crying out for her father and later reconciling that she no longer needs him or the act of letter writing, to make sense of her world. She struggles, constantly, to believe in something; whether it be in her inability to commit to vegetarianism or in her father’s innocence. In the end, Polly learns to believe in herself and the love of the people around her, and that is enough. Unlike Polly’s maturity, which is intrinsic and reflective, Maud undergoes a development from eager school girl to devout christian; however, as a christian dependant not on self-reflection, but misguided anger. I found myself turned off from her character as her piousness grew, and I wondered what its purpose was in relation to Polly’s own growth. I suspect it is Maud’s attempt to make sense of the uncertainty surrounding her father’s disappearance, and her own unwillingness to bestow forgiveness upon him. When he makes an appearance toward the end of the novel, Polly, who has been, in my mind, made the bigger fool for her constant devotion to him and his innocence, is quicker to forgive than her angry sister. In this moment it strikes me that the progression of her maturity is natural, whereas Maud, who had maturity thrust upon her, retreats in an almost childish anger, and the younger sister suddenly becomes the voice of reason. Pearson has always been able to capture the heart and the growth of a child’s soul, but she also displays a mastery in describing the country she calls home. Though I have never been to B.C., I could see, vividly, the sun dancing on the ocean and the foam caressing the rolling waves. I could hear the Orcas’ songs. Taste the pollen of spring on my lips. Pearson beautifully captures the Canadian landscape, and even though I have yet to venture to that side of the country, I am at home in her stories. Much is to be further uncovered for the cast of characters in The Whole Truth. 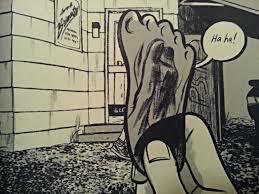 The dichotomy between Polly and Maud is the very fabric of the book. They are growing up in difficult times, surrounded by personal mystery, family secrets, and insecurities. As their story progresses, I find myself eager to finalize my relationship with them both by learning everything I can, but Pearson leaves me hanging. 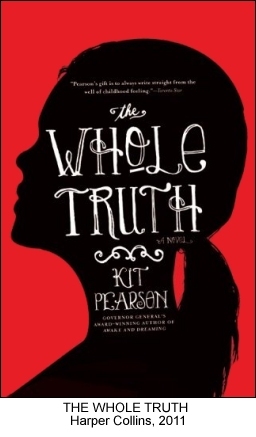 The Whole Truth is simply a half truth, and I will have to read And Nothing But the Truth if I want to learn more about Polly’s penchant for art, Maud’s pious descent, Noni’s racial schisms, and whether the family is able to reunite for a happily ever after, after all. The Whole Truth is widely enjoyed, its praises sung. A thoughtful thirteen year old girl wrote, in the National Post Book Review, that this novel made her laugh and want to cry. She felt, deeply, its value in showcasing the trials and tribulations of youth, of pain, of loss. I agree with her, but I also felt a tremendous disappointment that I had travelled so far with Polly, only to have just as many questions at the end as I did at the beginning. I suppose I will have to read on in And Nothing But the Truth to receive the closure I crave. Maybe if I had found this book when I was young, like the young reviewer, it would have sat well with me that the end was uncertain; so is life after all. But I suppose, at this stage, at this much older age, I will have to concede that I had hoped for finality. Now I find myself looking toward another chapter instead. And who am I kidding, the verdict is in: it is a chapter I want to read!